Institute Mop-Up Round - BDS 2017-18 will commence on 29th August 2017. 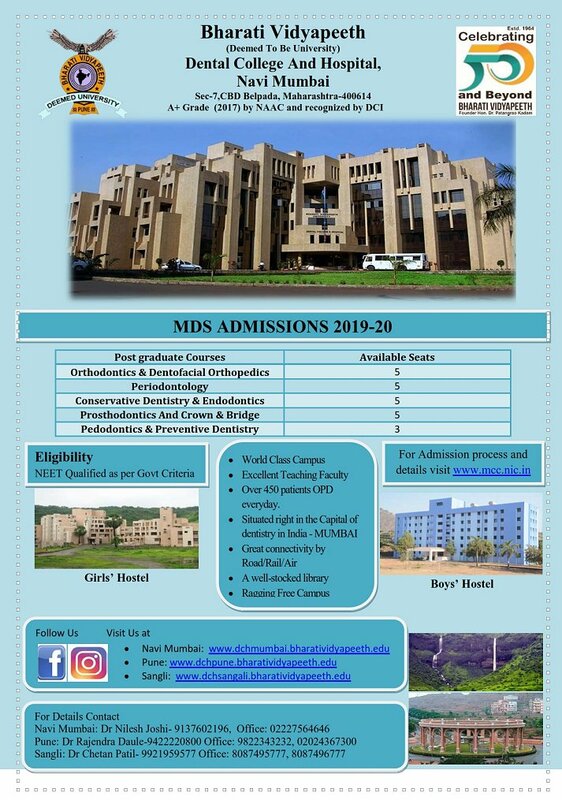 Bharati Vidyapeeth (Deemed to be University)'s Dental College & Hospital, Navi Mumbai was established in the year 2005 to undertake the basic B.D.S. degree course. Our Dental College & Hospital has both clinical and preclinical academic activities to cater to the basic educational needs. The admission procedure is through the national level Common Entrance Test where the students are selected by merit & admitted to the BDS Course. 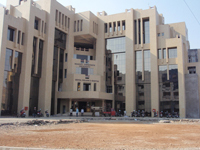 The total intake of students per year in Bharati Vidyapeeth (Deemed to be University)'s Dental College & Hospital is 100.The College is recognized by DCI.